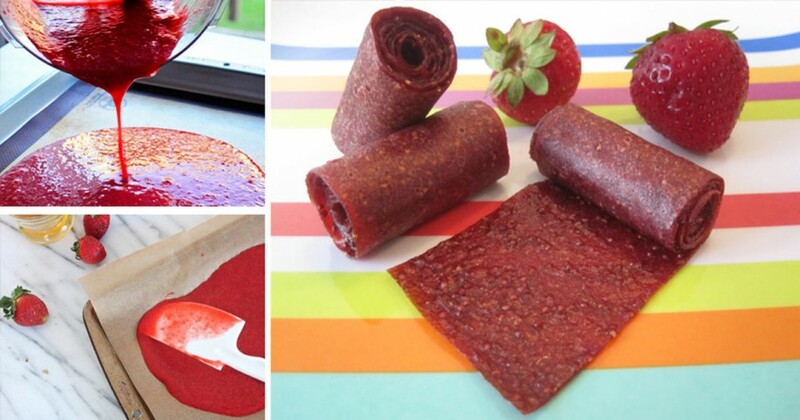 Despite being advertised as containing “real fruit”, commercial fruit roll-ups contain in fact more hydrogenated oil and high-fructose corn syrup than they do fruit. The little fruit they do contain is a made-from-concentrate product rather than the real fruit (1). And that’s not even getting into the added flavoring, coloring and chemicals meant to make the treat more appealing. Fortunately, you can make these childhood treats at home and avoid all these unpleasant ingredients. 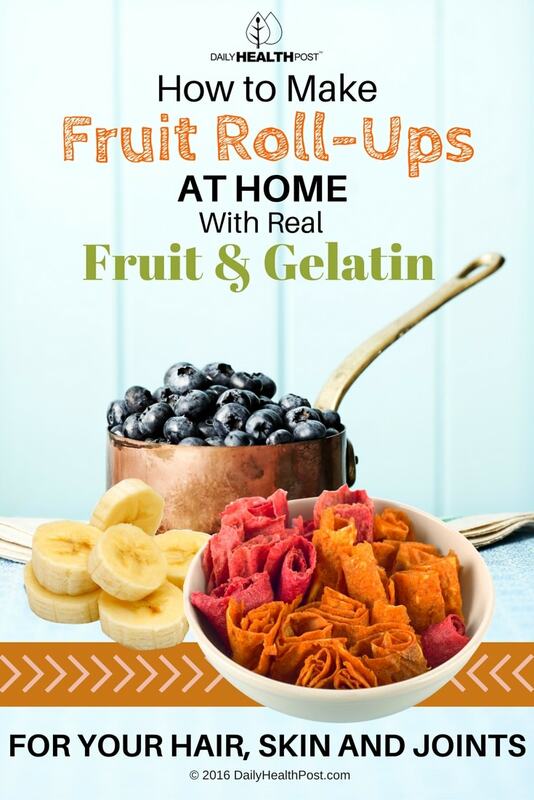 Plus, making them yourself means that you can also add more healthy ingredients into the mix, like gelatin. Gelatin is a collagen-filled product make from the boiled-down bones, cartilage and fibers leftover by the meat industry. Collagen is a fibrous protein that allows the body’s connective tissues to be more elastic. Your body produces collagen naturally, but this process is impaired as you get older (2). It’s believed that eating collagen-rich foods like gelatin helps strengthen bones, joints, and fingernails as well as improve hair health & skin elasticity and shorten recovery after injury. The food is often used to improve mobility of frequently used joints like knees, fingers, and wrists in patients with rheumatoid arthritis and osteoporosis (3). Vitamin C, which naturally occurs in fruits protects joints from the progression of osteoarthritis and improves pain, stiffness, mobility, flexibility, and joint strength (4). The yummy recipe bellow combines these two nutrients to keep your joints fluid and strong. Add your fruit to a large blender or food processor and pulse on high until it forms a liquid mixture. Once combined into a puree, add the gelatin to the mix and blend again until well combined. Prepare your dehydrator or a parchment paper-line baking tray. If you don’t have a dehydrator, preheat your oven to 150 degrees Fahrenheit. Pour the mixture one cup at a time and spread by tilting your tray. Finish when your puree is 1/4 inch thick. Turn on your dehydrator on low and let it dry for 6-10 hours. If you’re using your oven, bake for 5-6 hours. Lay your fruit on a clean sheet and cut into strips. Store in airtight containers and it will keep for months.